Sound Blaster X7 reviewed using a variety of devices, speakers, headphones, and playback material as noted in the review using stock op-amps. Chief testing was done using Windows 7 64-bit. 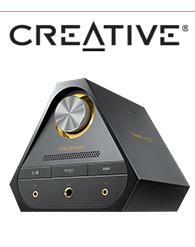 Last year, Creative Labs introduced what is (and may be to come) their flagship product, The Sound Blaster X7. In essence, with the X7, Creative has attempted to capture just about everything the company does well on the PC sound card side, and combine it with a mix of features normally found on a full-size receiver. But while the feature set is dizzyingly long, what the X7 is meant to do can be broken down into layers. Before I start categorizing what the X7 does and what it doesn't, I'd like to invoke an image that may have been missing at the X7's introduction. That would be the executive audio system. In the realm of home theater and in the sexier version of an office, there has been for decades an idea that a compact, but exquisite audio system was always at the ready. The reality of such small footprint/highly stylish and likely expensive systems has, however, been a little too much like other executive gifts- pretty, seldom used, and ultimately unsatisfactory. In this image, the likely three piece unit is usually off to one side of the office. It's obvious entertainment characteristic at odds with the professional nature of the executive desk. But bring the office into the modern era, and the whole setting, no matter how clean, will inevitably feature a computer, smart device, or some combination thereof. With PCs, tablets, and smartphones so integral to both productivity and entertainment, these devices are always front and center. With this evolution, audio reproduction is likewise, nearly always front and center. No smart device or computer, regardless of the form factor, is complete without some kind of headphones or speakers. It's in this desk space where the X7 enters, looking to become the new heart of whatever kind of sound the user enjoys. Creative has packed the small, triangular unit with the kind of halo features that don't normally make it past the concept phase, while at the same time, introducing questions of purpose and usability. Its intrinsic nature is to bridge a playback source with the user, and in that way it's at once immediately identifiable as a receiver, but with USB DAC abilities and a compact form factor. How those two important distinctions shake out is that the X7 is more capable than many receivers is some areas, but less in others. Let's start with the X7 basics. Of course, even at this base layer of purpose, there is considerable nuance, and I mean more than just DSP. The X7 has a full set of 5.1 analog outputs as well an optical out. Thus, the USB sound card and DAC functions on the X7 can be utilized while the actual amplification is done elsewhere. There is also both a 3.5mm analog mic connection and a built-in stereo mic. The stereo mic pic-up is great, and could be used for a variety of functions. For me, it means that when my phone is connected to the X7, either through USB or Bluetooth, I can take calls using the X7's mic. Which is to say I use the X7's built-in mic when it's convenient for me, and otherwise ignore it. Beyond these features, the X7 has a long DSP dependent feature set , which includes everything from faux surround, audio cleaning/restoring, dramatic EQ shifts , the FPS friendly Scout Mode, Dolby Digital Dynamic Range adjustment and more. These settings can toggled and tweaked in the PC/Mac Sound Blaster Control Panel, or in X7 Control Panel smartphone app. Most of these settings fall under the heading of 'SBX' and can then be set to be toggled on or off via a lit-when-on button on the front of the unit. While many of these setting are of the kind audiophiles will want to avoid, the X7 also supports heading in the other direction with Direct Mode options for both speakers and headphones. And there's more, the X7 supports both 8 ohm and 4 ohm speakers, and headphones ranging from 32 ohm up to 600 ohm. In a way, the robust abilities of the X7 is a reviewer's dream. That versatility means being able to use an endless amount of audio equipment with the X7, and that's before approaching the devices' changeable op-amps. Creative now offers their own E-MU XM7 bookshelf speakers as a suggested paring with the X7, but I elected to go with a pair of Klipsch RB-41 IIs for the bulk of my review. (Update: See how the X7 and E-MU XM7s pair together in our review of the E-MU XM7 Bookshelf Speakers.) What I can say is that the pairing of the X7's TPA3116D2 amplifier and the Klipsch RB-41 IIs is the exact kind of clear and powerful combination that I envision when I think of something purely for music, especially when using Direct mode. This is also a combination that could melt my face off if cranked up, well before getting to any kind of distortion. A track like the Boom Boom Satellites' 'Bring it On Down' can work its crazy accelerant, and the X7 never breaks a sweat, never jitters. The imaging is excellent (the opening pan in 'Here Comes the Sun' moves warmly without hitch or gap), and the three piece set-up perfectly complements my work space. For me, the X7, as it amplifies the bookshelf speakers, delivers a rich music presentation, and also does stereo for everything else that I happen upon in a day. (The two channel 'Terminator: Genisys' preview for example.) When it's time to go multi-channel, say when I fire up 'The Witcher III: Wild Hunt' and try to help the Bloody Baron sort out his bloody family problems through a very spooky night, the X7's 5.1 analog out comes into play. By connecting the X7 to the legendary Logitech Z-5500, I'm able to engage 5.1. An hour spent in 'Alien: Isolation' without surround sound just doesn't make sense, and so it's this exact ability to take the tech heavy, audiophile stereo X7 to a game and movie-friendly 5.1 that makes the X7 so indispensable in a practical way. Watching 'Interstellar' on Blu-ray with this combination X7, Z-5500 further illustrates how important these connections are. Through the USB connection, the X7 can pull uncompressed 6 channel LPCM, and over the analog out, send it to the Z-5500. At the same time that I'm able to go from a two channel audiophile setup to a 5.1 entertainment experience freely, it's even easier to engage any number of excellent headsets, such as the Audio-Technica ATH-M50x. Again, the Direct mode option is desirable (like just listening to music), but the default DSP state has its pros. A spare iPhone 4S connected to the X7's USB port is beastly. Considering that the ever-growing headphone Amp + DAC audience had to be in Creative's mind, the X7 easily impresses on that front, only lacking in my view without any kind of source analyzer read-out. The X7 doesn't do input switching, it plays all inputs all the time. While it's possible to go into the mixer and mute the SPDIF input, the Bluetooth input, and so on, the only really way to isolate an input is to use Direct Mode or SPDIF Direct Mode. It can take some adjusting, but it means that I can run audio from a connected PC through USB while also playing back optical Dolby Digital from the PS4. In fact I was testing my PS4 on the X7, playing 'Batman: Arkham Knight' with the ATH-M50x connected to the X7, when I made a discovery that really improved this bat adventure. I had my LG G4 connected to the X7 using Bluetooth, and on the G4, I was toggling on and off the X7's built-in faux surround sound. Neither the PS4 nor the Xbox One have any kind of built-in virtual surround sound for use with stereo headphone (not now anyway), and naturally even without the surround sound, the ATH-50x and X7 sound worlds better than using the headset with just the DualShock4. Anyways, I accidentally hit play on the Prime Music app on the G4, and suddenly, 'Batman: Arkham Knight' on the PS4 got a serious injection of 'The Dark Knight Rises' soundtrack. What I discovered was that brooding above the city, or wading into the street thugs and Arkham Militia, or just cruising in the Batmobile- it's all a heck of a lot more exciting when adding in the soundtracks of the Nolan movies. I've found the X7 to be both an impressive halo product, and something that is great for both practical and more indulgent use. It helps that there have been numerous improvements delivered via firmware updates in the month since release. This means both bug fixes and important options in the ever-important X7 control panel software. Even so, I do think the product reflects some important oversights. The X7 has its own amplified stereo output and the full analog 5.1. I'd love then to be able to use the amplified speakers as an A set-up, and the 5.1 out as a B set-up, but the X7 has no control set or software setting that tells it to disable the connected speakers shy of hooking up headphones. As a result, after very careful calibrations in the X7's speaker settings, I set it up so that the bookshelf speakers on the X7 were balanced with center, and rears on the Z-5500. The results were pleasing, but I would prefer a much easier route. I talked at length with Creative about this, and it seems like a change might happen in a future update. At least it seems that a future update might turn the checking and unckecking of the center, surround, sub, and full-rage boxes in the control panel that I do when switching, into a single profile click. A similar head-scratcher involves the X7's and Dolby Digital. I used the optical in and Dolby decoder extensively with a PS4 and with a second PC (using Dolby Live), and the analog out did exactly what I wanted. The optical out on the other hand neither encodes Dolby not passes it along. It will send Dolby from the PC from certain programs (like Blu-ray software), but the absence of a Dolby encoder in the X7's Control panel, or even just the ability to pass along an inputted DD optical signal is disappointing. Many surround sound headsets need a Dolby Digital optical signal, and it's not to be found natively on the X7. (And if a device is going to rely on optical, as the X7 does with regards to the game consoles, and have an optical out, then it should use it in a chainable manner. Likewise, the X7 gets along with PS4 in terms of audio playback, but the microphone is another story. It's not a surprise exactly as chat on the consoles is a prickly area, but Creative actually offers on their website, a special USB Bluetooth Audio Transceiver, the BT-W2, that specifically mentions the PS4. The X7 includes a decent array of accessories, but maybe if this little guy works, he should have been part of the package. And of course, the X7 doesn't have its own remote. This isn't an issue for me really, especially as the Bluetooth phone control does so much, but I can see others wishing for an IR port and rudimentary controls. The X7 also lacks a power-saving feature like on the TEAC Ai-101DA. The standard X7 comes bundled with a 24V/2.91A power adapter that's good for 20W + 20W on 8 ohm speakers. There is a separately available 24V 6A power adapter, which is included with the white X7 LE and kicks up the max power (the LE also has an even lower impedance on the headphone amp). I haven't used the bigger power supply, but it hasn't been a concern either. The X7 includes a full set of world plugs, which I imagine makes distribution easier. Three cables, a micro-USB to USB, a RCA to 3.5mm cable, and a short RCA to 3.5mm female cable round out the included cables decently. The speaker terminals on the X7 have little caps that when removed accept banana plugs, which is always appreciated. The X7 also includes a headphone stand that attaches to the back of the unit. A small piece of rubber stabilizes the stand, but I think the idea is better than the execution. Like with many headphone stands, it's only really suitable for at most lighter passive over the ear passive designs. The ATH-M50x is fine for example. Naturally, the X7's small footprint is a big part of its charm and function. Its USB connection is perfect for its PC focus, while its other inputs are appreciated. Still, an HDMI in and out would make sense for game consoles. A few times during my review use, the X7 would get noisy. At times, this seemed to be when receiving a Dolby Digital signal. I often leave the X7 on for days at a time, and a quick power cycle (just takes a second to come back on) always fixed the issue. This happened once a week during heavy use, and didn't trouble me otherwise. While I chose not to change the op-amps for the review, I have had a chance to sample the ability via demonstration. It's a standout feature, one that a user could spend years dabbling with, tweaking each time they get a new set of speakers of headphones. Update: Since originally reviewing the X7, I've had a chance to review E-MU XM7 bookshelf speakers, which should interest any prospective X7 owners. (See here.) In brief, the E-MU XM7 speakers require a quality amp to reach their enjoyable potential, and the X7 (with standard power supply) attacks that challenge with gusto above its small size. Creative also offers a bundle of the two products together, and the price difference is worth checking out. (See here). In the end, the Sound Blaster X7 works best like a sound card that crawled out the computer, merged with a headphone amp, and went a little crazy, absorbing other devices and adding newer features to itself like a stereo amp, a surround sound processor, and a slick NFC Bluetooth interface. All while staying desk friendly. There a few things I'd love to see added in a future design, but the current X7 deserves it high tradeshow credit. More importantly, amid all of the wonderfully nerdy tech and audiophile bits is a device that has earned a precious spot on my desk as the lynch pin to my daily audio needs. 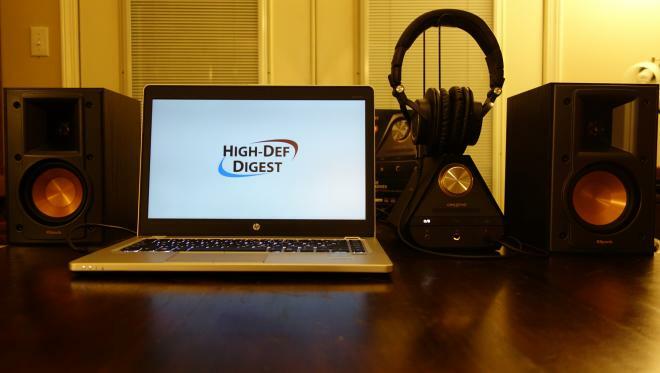 Anyone looking for a headphone amp, sound card, or three piece desk set, should consider the X7.